Last week I blogged about how most visits to Italy include a stopover in the capital, and how you should allocate a full 3 days minimum in order to experience the city. This blog series will share a detailed Rome itinerary for 3 days, and all the attractions you should make sure are part of your travels. To read more in depth about my Rome Day 1 itinerary, make sure to read my blog about travel tips for visiting the historic sites in Rome. This post is for Day 2 in Rome, and will provide you with a Vatican City itinerary, and the attractions and activities I believe are not to be missed, especially if this is your first time to the eternal city. Vatican City is an independent city-state surrounded by Rome, and is the ecclesiastical home of Roman Catholicism. 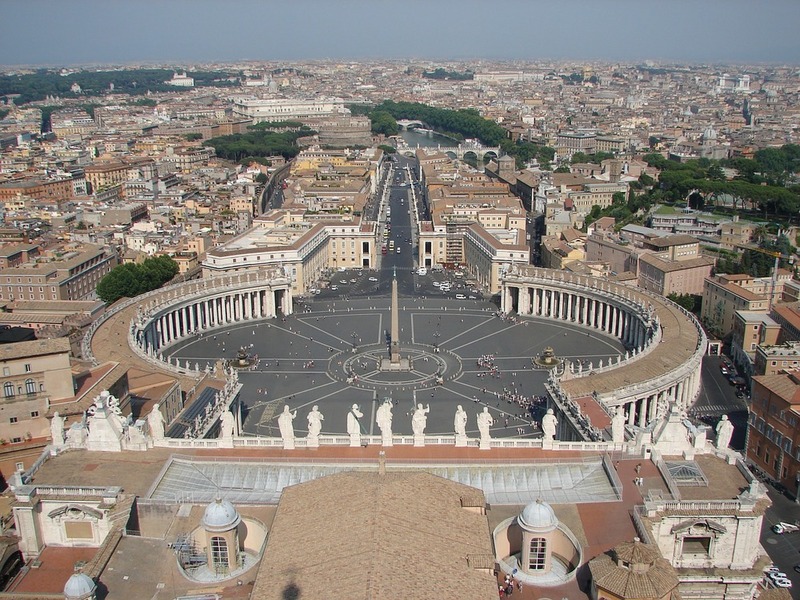 The main sites here are the Vatican grounds and Museums, Sistine Chapel, St. Peter’s Basilica, and St. Peter’s Square. Consider visiting the Vatican museums and Sistine Chapel first, either first thing in the morning, or early afternoon when the morning crowds have died down a bit. Make a reservation on the Vatican Museum’s website beforehand. If you are mainly interested in looking at the artwork, a tour isn’t really necessary. If you are fascinated by the history and learning more about the artwork, consider a tour. On an individual tour, the guide can show you parts of the museum not normally visited by the standard tours. Consider an exclusive, private visit to the Sistine Chapel for a truly unique and emotional experience. This type of tour must be reserved far in advanced, but is worthwhile. The Sistine Chapel is certainly one of the world’s greatest masterpieces, and Michelangelo outdid himself with the painting of the ceiling that will take your breath away and render you speechless…which is a good thing because noise in here is frowned upon. Lunch Break. All the walking around and effort it takes to gaze at past priceless splendors is enough to build up quite the appetite. Consider a quick lunch in the Piatti neighborhood before heading on over to St. Peter’s Basilica. The first building you will see from Bernini’s colonnaded St. Peter’s square is the largest church in the world: St. Peter’s Basilica. Highlights inside include many works by Bernini, Michelangelo’s Pieta, and the oldest statue of St. Peter in existence. Next, make your way to Michelangelo’s other masterpiece, St. Peter’s dome. When you find your way to the top, you are greeted with a breathtaking panorama of Rome, and if you time it right, the sun beginning to set over the eternal city and covering it in a rose-gold light. For dinner, chose an establishment simply known for their good food and where you can dine alongside the locals, such as Da Enzo. Here, the superstar will be the food and your meal will certainly be memorable. During the summer months, make sure to have a reservation, as it is a very small restaurant. After dinner, take the short stroll to the Spanish Steps, which will provide the perfect people-watching perch. Where to stay: See my post on a great boutique hotel in Rome here. Where to go next: Consider a Rome and Amalfi Coast itinerary and this beautiful resort I highlighted here. To put this Vatican city itinerary together with another detailed itinerary for visiting the Roman historical sites, click here. If you like these Rome daily itineraries, check back next week for Day 3!